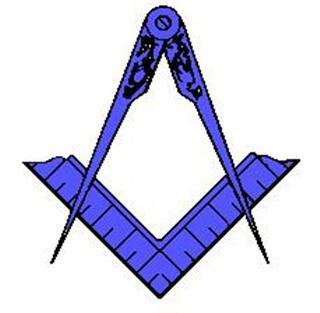 This page answers some of the Frequently Asked Questions about Freemasonry. Freemasonry under the United Grand Lodge of England is the UK's largest, secular and fraternal and charitable organisation. Freemasonry offers its members an approach to life which seeks to reinforce thoughtfulness for others, kindness in the community, honesty in business, courtesy in society and fairness in all things. Freemasonry also teaches its members to regard the interests of the family as paramount but importantly also teaches and practices concern for people, care for the less fortunate and help for those in need. People become Freemasons for a variety of reasons, some as a result of family tradition, others upon the introduction of a friend or out of curiosity to find out what it is all about. Those who become active members and who grow in Freemasonry do so principally because they enjoy it. They enjoy the challenges and fellowship that Freemasonry offers. There is more to it, however, than just enjoyment. Participation in the dramatic presentation of moral lessons and in the working of a Lodge provides a member with a unique opportunity to learn more about himself and encourages him to behave in such a way that he will always be in search of becoming a better man, not better than anyone else but better than he would otherwise be and therefore an exemplary member of society. Each Freemason is required how to learn humility through initiation. Then, by progression through a series of degrees he gains insight into increasingly complex moral and philosophical concepts, and accepts a variety of challenges and responsibilities which are both stimulating and rewarding. The structure and working of the Lodge and sequence of ceremonial events, which are usually followed by social gatherings, offer members a framework for companionship, teamwork, character development and enjoyment of shared experiences. Membership is open to men of all faiths who are law-abiding, of good character and who acknowledge a belief in a God. Freemasonry is a multi-racial and multi-cultural organisation. It has attracted men of goodwill from all sectors of the community into membership. There are similar Masonic organisations for women. New members make solemn promises concerning their conduct in the Lodge and in society. These promises are similar to those taken in court or upon entering the armed services or many other organisations. Each member also promises to keep confidential the traditional methods of proving he is a Freemason which he would use when visiting a Lodge where he is not known. The much publicised 'traditional penalties' for failure to observe those undertakings were removed from the promises in 1986. They were always symbolic not literal and refer only to the pain any decent man should feel at the thought of violating his word. Members always undertake not to make use of their membership for personal gain or advancement; failure to observe this principle or otherwise to fall below the standards expected of a Freemason can lead to expulsion. The meeting is in two parts. As in any association there is a certain amount of administrative procedure - minutes of last meeting, proposing and balloting for new members, discussing and voting on financial matters, election of officers, news and correspondence. Then there are the ceremonies for admitting new Masons and the annual installation of the Master and appointment of officers. The three ceremonies for admitting a new Mason are in two parts - a slight dramatic instruction in the principles and lessons taught in the Craft followed by a lecture in which the candidate's various duties are spelled out. No the ritual is a shared experience which binds the members together. Its use of drama, allegory and symbolism impresses the principles and teachings more firmly in the mind of each candidate than if they were simply passed on to him in a matter of fact modern language. New Masons make solemn promises concerning their conduct in the Lodge and in society. Each member also promises to keep confidential the traditional methods of proving that he is a Freemason which he would use when visiting another Lodge where he is not known. Freemasons do not swear allegiances to each other or to Freemasonry. Freemasons promise to support others in times of need, but only if the support does not conflict with their duties to God, the law, their family or with their responsibilities as a citizen. No. From its earliest days, Freemasonry has been involved in charitable activities. Since its inception Freemasonry has not only provided support for widows and orphans of Freemasons but also for many others within the community. Whilst some Masonic charities cater specifically but not exclusively for Masons or their dependents, others make significant grants to non Masonic organisations. On a local level, Lodges give substantial support to local causes. From its earliest days Freemasonry has provided support for the local community. All monies raised for charity are drawn from amongst Freemasons, their families and friends, while grants and donations are given to Masonic and non Masonic charities alike. Over the past five years alone Freemasonry has raised more than £75m fro a wide range of charitable purposes including those involved in medical research, community care, education and work with young people. Freemasonry has an enviable record of providing regular and consistent financial support to individual charities over long periods while at the same time making thousands of grants to local charities, appeals and projects throughout England and Wales each year. For the future, opportunities to obtain or provide matched funding are periodically examined with a view to enhancing the impact of the support Freemasonry can give to specific projects. The personal generosity of Freemasons and the collective fundraising activities of over 8,500 Lodges, however, will continue to determine the contribution Freemasonry makes within the community. Emphatically not. Freemasonry requires a belief in God and its principles are common to many of the world's great religions. Freemasonry does not try to replace religion or substitute for it. Every candidate is exhorted to practice his religion and regard its holy book as the unerring standard of truth. Freemasonry does not instruct its members in what their religious beliefs should be, nor does it offer sacraments. Freemasonry deals with relations between me; religion deals with a man's relationship with his God. There are groups in other countries who call themselves Freemasons and who involve themselves in political matters. They are no recognised or countenanced by the United Grand Lodge of England and other regular Grand Lodges who follow the basic principles of Freemasonry and ban the discussion of politics and religion at their meetings. None. There are numerous fraternal orders and Friendly societies whose rituals, regalia and organisation are similar in some respects to Freemason's. They have no formal or informal connections with Freemasonry. Wearing regalia is historical and symbolical and, like a uniform, serves to indicate to members where they rank in the organisation. 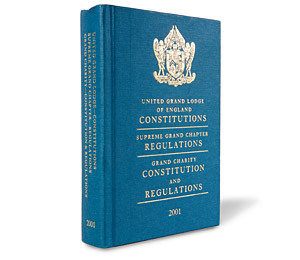 Under the United Grand Lodge of England, there are 330,000 Freemasons, meeting in 8,644 Lodges. There are Separate Grand Lodges for Ireland (which covers both North and South) and Scotland, with a combined Membership of 150,000. Worldwide there are probably 5 million members. It is not known. The earliest recorded 'making' of a Freemason in England is that of Elias Ashmole in 1646. Organised Freemasonry began with the founding of the Grand Lodge of England on 24th June 1717, the first Grand Lodge in the world. Ireland followed in 1725 and Scotland in 1736. All the regular Grand Lodges in the world trace themselves back to one or more of the Grand Lodges in the British Isles. There are two main theories of origin. According to one, the operative stonemasons who built the great cathedrals and castles had Lodges in which they discussed trade affairs. They had simple initiation ceremonies and, as there were no City and Guild certificates, dues cards or trade union membership cards, they adopted secret signs and words to demonstrate that they were trained Masons when they moved from site to site. In the 1600's, these operative Lodges began to accept non-operatives as "gentlemen Masons". Gradually these non-operatives took over the Lodges and turned them from operative to "free and accepted" or 'speculative' Lodges. The other theory is that in the late 1500's and early 1600's, there was a group which was interested in religious and political tolerance in an age of great intolerance when differences of opinion on matters of religion or politics were to lead to bloody civil war. In forming Freemasonry, they were trying to make better men and build a better world. As the means of teaching in those days was by allegory and symbolism, they took the idea of building as the central allegory on which to form their system. The main source of allegory was the Bible, the contents of which were known to everyone even if they could not read, and the only building described in detail in the Bible was King Solomon's Temple, which became the basis of the ritual. The old trade guilds provided them with their basis administration of a Master, Wardens, Treasurer and Secretary, and the operative Mason's tools provided them with a wealth of symbols with which to illustrate the moral teachings of Freemasonry. Basic Freemasonry consists of the three 'Craft' degrees (Entered Apprentice, Fellow Craft and Master Mason) completed by the Royal Arch degree (Chapter). There are many other Masonic degrees and Orders which are called 'additional' because they add to the basis of the Craft and the Royal Arch. They are not basic to Freemasonry but add to it by further expounding and illustrating the principles mentioned in the Craft and Royal Arch. Some of these additional degrees are numerically superior to the third degree but this does not affect the fact that they are additional to and not in any way superior to or higher than the Craft. The ranks that these additional degrees carry have no standing with the Craft or the Royal Arch. It varies from Lodge to Lodge but anyone wishing to join can find a Lodge to suit his pocket. On entry, there is an initiation fee and an apron to buy. A member pays an annual subscription to his Lodge which covers his membership and the administrative cost of running the Lodge. It is usual to have a meal after the meeting; this is sometimes included in the annual subscription or paid for at the time. It is up to the individual member what he gives to Charity, but it should always be without detriment to his other responsibilities. Similarly, he may join as many Lodges as his time and pocket can allow as long as it does not adversely affect his family life and responsibilities.